Perfect for a long weekend away our 60ml mini adventure size shampoo with essential oils of Lavender + Rose Geranium will leave your body cleansed, and your soul totally replenished. 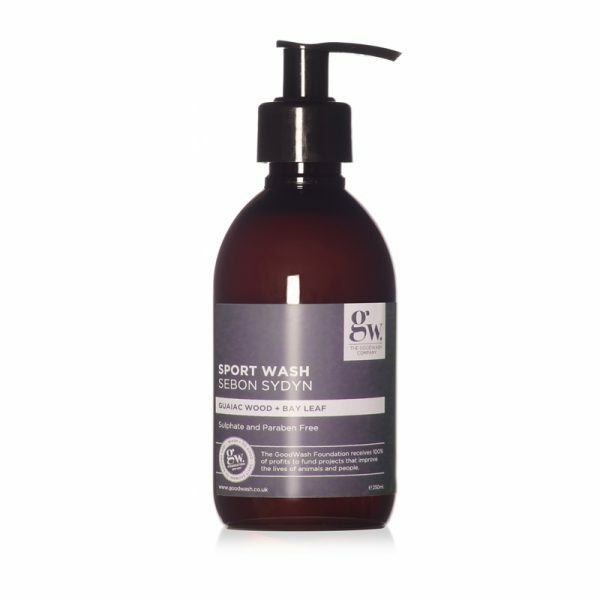 Based on traditional natural remedies, our botanical body wash uses the best of nature to cleanse, heal and moisturise your skin. Vegan Accredited UK. Created in Wales. Sourced from only the finest natural ingredients from our land and sea. 99% Natural. FREE from Sulfates, Parabens, SLS, SLES. This product is not tested on animals. Refills available. Our essential oils of Lavender + Rose Geranium will leave your body cleansed and your soul totally replenished. Hand bottled in a travel size 60ml you can refill and reuse your good wash bottle for all your mini adventures. Based on traditional natural remedies, our botanical body wash uses the best of nature to cleanse your skin. We use essential oils of Lavender and Rose Geranium which work together to naturally cleanse, heal and hydrate your skin, whilst the Aloe Vera, Vitamin C+ E and natural oils of Olive and Almond Oil work on the skins elasticity to provide anti- ageing benefits. Contains age old natural healing qualities for dry skin. FREE from Sulfates, Parabens, SLS, SLES. Ingredients: Aqua (water), Cocamidopropyl betaine (an organic compound from coconut oil), Sodium Lauryl Sulfoacetate (from coco-nut and palm oils, conforms to ecocert’s natural and organic cosmetic standard and is 100% of natural origin) Sodium lauroyl sarcosinate (a salt produced by the breaking down of caffeine), Aloe Barbadensis (pure aloe vera leaf juice), Argania Spinosa Kernel Oil (argan oil), Lavandula Angustifolia (pure aromatherapy lavender oil, Pogostemon Cablin (patchouli oil), Pelargonium Graveolens (pure aromatherapy rose geranium oil), Phenoxyethanol Ethylhexyl Glycerin (preservative). The Goodwash Company are changing the world one wash at a time. Sign up to our newsletter and receive the very latest news on our products, exclusive offers, events + promotions. More Importantly sign up to see how YOU are making a difference with each purchase. © 2017 The Goodwash Company.